'Viswaroopam 2' is all set for a Worldwide release Tomorrow. Theatrical Trailer of this Spy Thriller had thoroughly entertained the movie buffs. Action Lovers were eagerly waiting for this terrorism-backdrop flick. Some of the interesting details have been shared during the pre-release interviews. Kamal Haasan claimed he finished script work of 'Viswaroopam' franchise in 2010 itself. He anticipated the death of Osama Bin Laden an year in advance and it happened in the same manner he had envisioned. In 'Viswaroopam', A clip of Obama announcing the death of Laden was included. In the sequel, The encounter of the Most Wanted Terrorist can be seen. Kamal ensured this episode is integral part of the story. America planned a secret operation named 'Geronimo' for Osama Bin Laden's assassination. Kamal disclosed he had accidentally used the same word in his script. 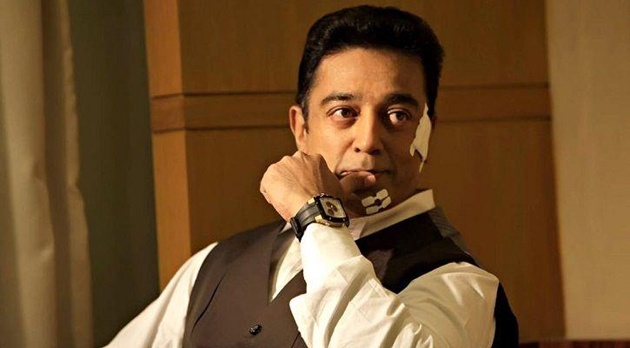 Kamal approached US for permission to shoot 'Viswaroopam' in May 2011. 'However, America had denied permission then. Then a miracle happened. Laden was shot dead on May 2nd, 2011,' he said.